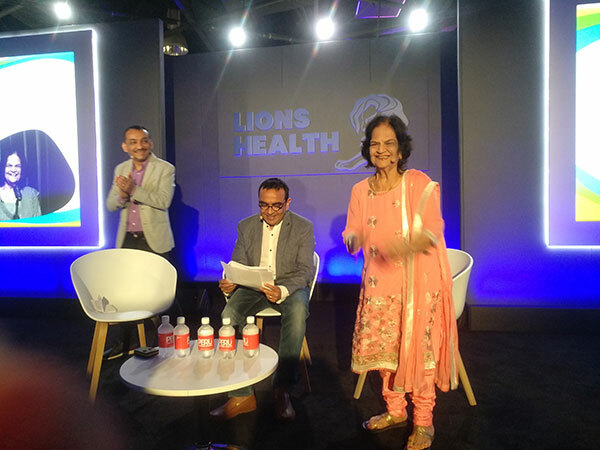 It is not just her ability to laugh at her sickness and a close encounter with death that makes Pooran Issar Singh (86) the oldest speaker at the Cannes Lions 2018. There is so much more to this vibrant lady, who walked on the stage at Cannes on Tuesday afternoon, dressed in a bright peach dress--her lipstick, nail paint and blush intact-- she appeared to be in love with life and death. “My claim to fame is that I am alive,” said the star of Medulla communication’s campaign The ‘Last Laugh’ (a video which won many accolades last year for its ingenuity) while addressing a hall full of global audiences. Taking her to the world stage are Amit Akali, CCO and Praful Akali, Founder & MD, Medulla Communications, the agency that created the award winning video that made you laugh and shed a tear at the same time. In conversation with the brothers at Cannes, the lady was in mood for another ‘laugh’. “When I visited the local consulate for my visa, the officer concerned asked me if I was really born in 1931. They were so pleasantly surprised that they started clapping. But I stopped them and said, clap if I come back alive,” says Singh breaking into a laughter. She continued to crack jokes about her illness and age for the 20 minutes she spent on the stage along with Akali brother. “So at the airport when they were calling a taxi, I said why call for a taxi, call an ambulance. When I was coming here people asked me, are you excited? Is your heart beating faster? To whom I said fast or slow as long as it is beating it’s fine,” jokes Singh. Born in 1931, Singh was the first lady to independently practice taxation in India back when all the judges and lawyers were all men. She says she survived this world of men for 60 years. About a year and a half back, at the age of 85, Singh contracted dengue and was put on ventilator. Doctors gave up, almost and asked her relatives to come over to meet her one last time. However, 15 days later, she was off of the ventilator, breathing on her own. 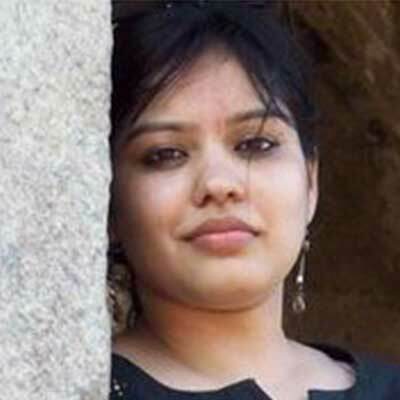 “Her heart works only 20 per cent of its capacity but her will power works at a 120 per cent,” said Amit Akali. Talking about Medulla, Praful Akali said that although they have been amongst the top three agencies in health category in the last three years, creativity is what makes health advertising most powerful. It is “life changing creativity”. The brothers who were joined on stage by Heather Bresch, CEO, Mylan on ‘Experiments with Life Changing Creativity’ dedicated the session to all terminally ill patients who were part of this initiative but are no more alive to join the stage. The duo, Amit and Praful, tell us why the session was a crowd puller this year. In India talking about death is a taboo, anyone talking about death and there will be three people asking him to be quiet. To the extent that even doctors don’t talk about death with the patients. So half of the patients being treated for cancer in India, doctors don’t tell patients about the disease even while treating it because they don’t talk about death. And because they don’t talk about death, they cannot talk about ‘palliative care’. We took terminally ill people and made them do stand-up comedy and make fun about their illness and death. This demonstrates that palliative care helps you get comfortable with death. And the result was massive. Death became a mass topic. People began to start talking about death and palliative care. They realised that if patients can face death by laughing at it, we can at least talk about death. No sooner than doctors started to talk about Palliative care to patients and the entire perspective changed across the country.